The hybrid piano is the latest new piano category. The acoustic piano, using materials created by mother nature, is highly complicated to reproduce. 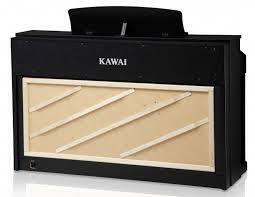 Digital piano manufacturers have been intrigued by the nuances of an acoustic piano for many years. A few have now achieved the melding of acoustic and digital technologies to create a true hybrid piano. AnyTime Pianos – Pianists now have the opportunity to perform in complete silence using headphones or play the same piano in the traditional natural acoustic manner. Players can layer sampled sounds with the traditional acoustic piano sound on one instrument giving many tonal possibilities. With the addition of a hammer stop rail, one can silence the acoustic piano sound only to hear the sampled sounds while still enjoying the trueness of the real acoustic action. Performance Pianos – These utilize select aspects from an acoustic and digital piano with different combinations to achieve various hybrid designs. True wood soundboards, special speaker systems, longer length playing keys, piano actions, pedal systems, cabinetry, split keyboards, layered sounds, various recording technologies are some of the combinations. 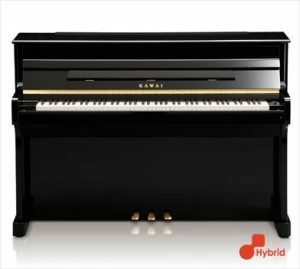 Discuss your needs with us so we may suggest the perfect hybrid piano.